The 52-in. storm sewer was installed in the early 1900s in Manistee, Mich. The line takes in all of the storm water for the south side of the city. The sewer is 20 ft deep and runs along railroad tracks, then discharges into the Manistee River. 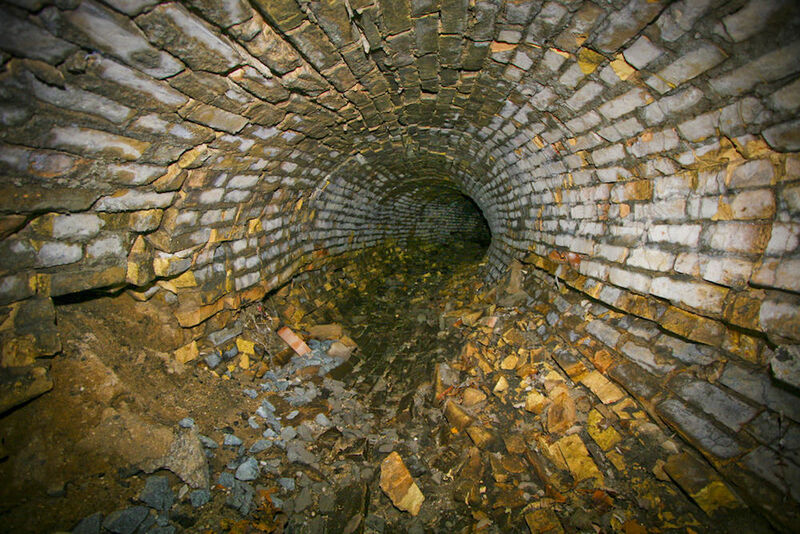 The sewer is constructed of 4 by 8 bricks, which were hand-laid two layers thick. Soil was entering the line through a pip caused by missing bricks. This created a sinkhole along the edge of the railroad tracks. Engineers from Abonmarche Consultants Inc. contacted Team Elmer’s for a structural solution to rehabilitate and restore this system. After this discussion with the engineering firm, Team Elmer’s decided to use SprayWall by Sprayroq at 300 mils thick. This would give the structure a 50-year design life, storm water containment and the structural integrity the city was seeking. The product choice was easy, but the situation ahead would be difficult. First, debris had to be removed from the line by buckets, placed on carts and pulled to the outside of the discharge end. The discharge was out in a river, under a railroad bridge and down a 20-ft embankment. After debris removal, it was time to replace the missing bricks and bring the structure back up to specification. Once the surface was prepped, the Sprayroq truck could only maneuver to within 150 ft of the discharge, so the lines had to be isolated to maintain heat. SprayWall then was applied at 300 mils to finish the rehabilitation. When trains would go over, the compromised line would vibrate and feel like it was going to collapse. This was still the case after rehabilitation, but now the city could rely on the SprayWall structural rehabilitation warranty that the storm sewer would be there for many years.